2018 WARL Past Players Re-Union another success! Almost 150 people made it to the Swan Yacht Club for the annual WARL Past Players re-union day, and what a day it was. The weather turned on a stunners and the venue was fantastic! It was great to see so many ex-players from the Vic Park – Canning 1978 Premiership side there of which many made an enormous effort to travel from over east. Well done boys and we hope you had a blast! Nick Noble did a fantastic job presenting the players and giving us the history behind the grand final win. 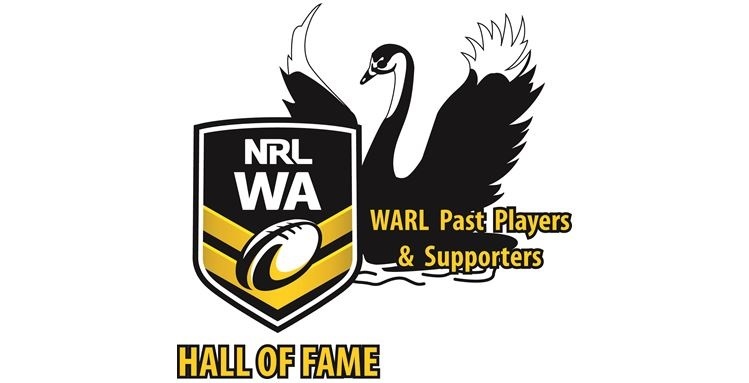 the side was of course coached by Joe Gush one of the NRLWA Hall of Fame inductees for this year. It was also great to see a legend of the WARL and Hall of Famer, Frank Morgan at the function, Frank was brought along by his Family and he seemed very happy about the stories Reg Fisher told about Frank’s tough display against England back in the 50’s. Thanks Lenny Castle for your heartfelt toast to absent friends, we have lost a few this year! Well done to everyone that came along, we hope to see you again next year for what is shaping up to be a bigger and better Past Players Re-union! !